Volkswagen seems to be something of a power trip at the minute. 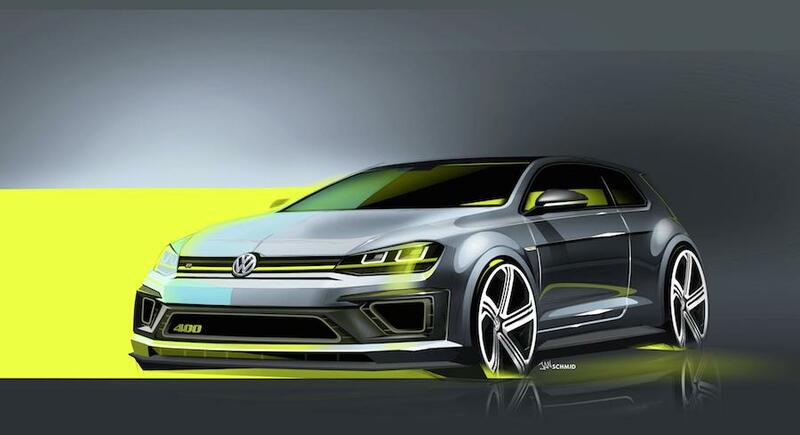 We’ve already got a rumoured lightweight Golf GTI in the pipeline, but now there’s a concept Golf R with 400 PS coming too. Granted, right now, we’ve only got sketches to go off. 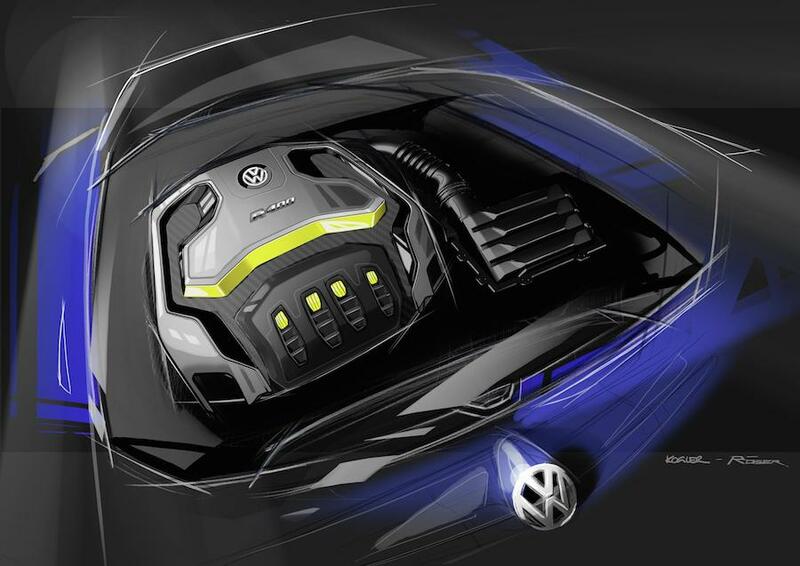 But, VW has released similar sketches for both the GTI and regular R models before launch, so it’s clearly the favoured way for it to tease and titillate at the minute. Wolfsburg is claiming the car is definitely only a concept at present; sensible given that we’ve only just had the normal 300 PS R released to the world. But that isn’t stopping them planning to show a real concept car at the Auto China show in Beijing on Saturday. The headline grabber is the quite obvious 400 PS power output (394 bhp) made from the 2.0 litre turbo four-cylinder engine. With standard 4WD and DSG gearbox, it makes the R 400 capable of 0-62 mph in 3.9 seconds and a top-speed of 174 mph. Given that VW has such precise performance figures, it would seem safe to assume there’s at least one real running R 400 out there. Along with big power, the R 400 also gets new bumpers, flared wheelarches, bigger wheels and a revised interior with motorsport bucket seats. VW claims those big wheelarches are ‘deliberately reminiscent’ of the ones which featured on the Mk2 Golf Rallye G60 back in the eighties. What the Rallye G60 didn’t have was ‘Lemon Yellow’ highlights on the outside, bi-xenon headlights, or ‘Silver Flake’ metallic paintwork with a gloss black roof and carbon wing mirrors. We’ll see more of the R 400 in a couple of days time – EngageSportMode will bring you the details when we get them.